The Lake Winnebago Watershed is located in Fond du Lac, Winnebago and Calumet counties. It is 131,956 acres in size and contains 335 miles of streams and rivers, 131,607 acres of lake, and 119 acres of wetlands. Ninety-nine percent of the watershed is open water. Lake Winnebago, Asian Clam Email Correspondence Cont. City Of Oshkosh: City Of Oshkosh Miller'S Bay Ais Control Project: The City of Oshkosh proposes to conduct an aquatic invasive species education, prevention, and control project in Miller's Bay and the adjacent waters of Lake Winnebago. Project deliverables will be chemical treatment of Miller's Bay in Mid-May to early June of 2008-2009. As an enumeration in the FY 2008 State budget, the department of natural resources shall provide a $25,000 grant in fiscal year 2007?08 to the city of Oshkosh to fund aquatic invasive species education, prevention, and control activities in Miller\FFFDs Bay and the adjacent waters of Lake Winnebago. City Of Oshkosh: Miller'S Bay Apm Plan Development: The City of Oshkosh proposes to develop an Aquatic Plant Management (APM) Plan in 2008, which will focus on native plant protection and prevention, and control of aquatic invasive species (AIS). The project elements and deliverables are specified in the City of Oshkosh Invasive Species Control Grant application, dated February 1, 2008. The project includes using aquatic plant survey data generated by the consultant; determining the extent, distribution and density of Eurasian water-milfoil and any other AIS; preparing and developing an APM Plan consistent with DNR guidelines, including an AIS prevention and control plan; educating lake users of native plant protection and AIS prevention and control measures. The final report will include the City of Oshkosh Aquatic Plant Management Plan that conforms to guidance found in the DNR/UW-Extension publication, "Aquatic Plant Management in Wisconsin". If consultant is to provide the final report, it is recommended the Grantee provide the DNR Aquatic Invasive Species Coordinator with a draft for comment on report adequacy prior to making final payment to the consultant. DNR to receive both paper and electronic .pdf copies of the final report along with, or prior to, submission of grantee's final payment request. Calumet County: Calumet County 2018 Cbcw: Calumet County is sponsoring a Clean Boats Clean Waters project in 2018 at 0 single public boat landings and 1 public boat landing pairs on LAKE WINNEBAGO. Calumet County: Calumet 2019 Cbcw: Calumet is sponsoring a Clean Boats Clean Waters project in 2019 at 0 single public boat landings and 1 public boat landing pairs on LAKE WINNEBAGO (STOCKBRIDGE HARBOR, CALUMET CO. PARK). University Of Wisconsin - Oshkosh: Impacts Of Zebra Mussels On P Uptake In Lake Winnebago: UW-Oshkosh is sponsoring a grant to study the impacts of zebra mussels on phosphorus uptake and conversion in Lake Winnebago. 1) Zebra mussel density and biomass will be monitored using scuba divers at ten rocky littoral sites and five offshore reefs twice per summer during 2018 and 2019. Maps of zebra mussel density and biomass will be created. 2) Mesocosms with lake water will be set up along the shoreline in 2018 and 2019 at five sites and zebra mussels attached to rocks from the site will be added. Total phosphorus (TP) clearance from the mesocosm water will be measured. Then the excretion rate of soluble reactive phosphorus (SRP) from individual zebra mussels from the mesocosms will be measured in smaller containers of filtered lake water. 3) Whole-lake estimates of zebra mussel TP clearance and SRP excretion will be developed using the zebra mussel survey data and phosphorus conversion rates from the mesocosm studies. SRP loading estimates will be compared with known sources of SRP through collaboration with those working on the Upper Fox River TMDL. The information collected during this study will be provided to the TMDL team. Department liason(s) will oversee the proposed studies. Biannual check-in meetings will occur and progress reports will be presented to Department staff. The first check-in meeting will occur before project work begins. Results will be shared at professional meetings (including the Wisconsin Lakes Convention) and published in peer-reviewed scientific journals. A short management brief, summarizing study findings for the general public, will be developed in collaboration with the Department. The final project report will include results, conclusions of studies and any project data in electronic format. It is recommended that the Grantee provide the DNR liaison with a draft report prior to requesting final payment. Fond Du Lac County: Acq-Fond Du Lac County Camp Shaganappi Acquisition: Fond du Lac County shall participate in the Lake Protection Grant Program by purchasing 97.2 acres of land for public outdoor recreation purposes. Fox Wolf Watershed Alliance: Winnebago Lakes Comprehensive Planning - Lake Winnebago: The Fox \2013 Wolf Watershed Alliance is sponsoring a project to develop a Comprehensive Lake Management Plan (LMP) for Lake Winnebago. Specific project activities include: 1) Develop communication strategy; 2) Create LMP structural framework; 3) Develop committees for each LMP element; 4) Establish issue related focus groups and encourage stakeholder participation; 5) Determine need for third party consultant assistance. Project final deliverables include: 1) Committees identify outstanding issues, data gaps and possible actions to address lake issues, 2) Committees begin to draft language for LMP sections, 3) Hold 3 Town-hall meetings; 4) Develop website; 5) Issue press releases; 6) If determined necessary, engage third party consultants for project assistance; 7) Develop Phase 4 strategy for completion of LMP. Special Conditions: 1) All data shall be entered into the SWIMS database; 2) Draft sociological/user surveys and shoreline assessments must be reviewed and approved by the Department before being initiated. 3) Documentation of volunteer labor and donated services shall be collected and maintained in accordance with grant program guidelines for reporting in kind donations. This scope summarizes the project detail provided in the application and does not negate tasks/deliverables described therein. Data, records, and reports, including GIS-based maps, and digital images, must be submitted to the Department in a format specified by the regional Lake Biologist. Final reports: it is recommended that Grantee provide DNR Lake Coordinator with a draft for comment on report adequacy prior to making final payment to the consultant. DNR to receive both paper and electronic .pdf copies of the final report along with, or prior to submission of grantee's final payment request. 1) **9** The review of all known plans / reports for the system. This review will result in the creation of a summary report detailing past work and identifying data gaps and or needs. 3) **9** Meet with and survey stakeholders, as identified by Core Team, on issues of importance to stakeholders. a. **9** Conduct a minimum of three citizen surveys. b. **9** Conduct a minimum of two focused discussion groups. c. **9** Conduct a minimum of four public input meetings. 4) **9** County to host one educational meeting in December 2012 with Calumet County farmers regarding soil erosion, farming practices, programs and funding which can help minimize sedimentation into Lake Winnebago. 5) **9** County (consultant) will sponsor a meeting in January 2013 regarding pollutant trading and other water quality matters. 6) **9** Submit a preliminary Draft Report of County inventory, plan/report summaries, and phase 1 of stakeholder survey findings no later than February 1, 2013. 7) **9** Submit a comprehensive Draft Report of project findings to County no later than November 15, 2013. 8) **9** Submit a Final Report by December 31 of 2013.
i. **9** Stakeholder priority list (water resource needs / problems). 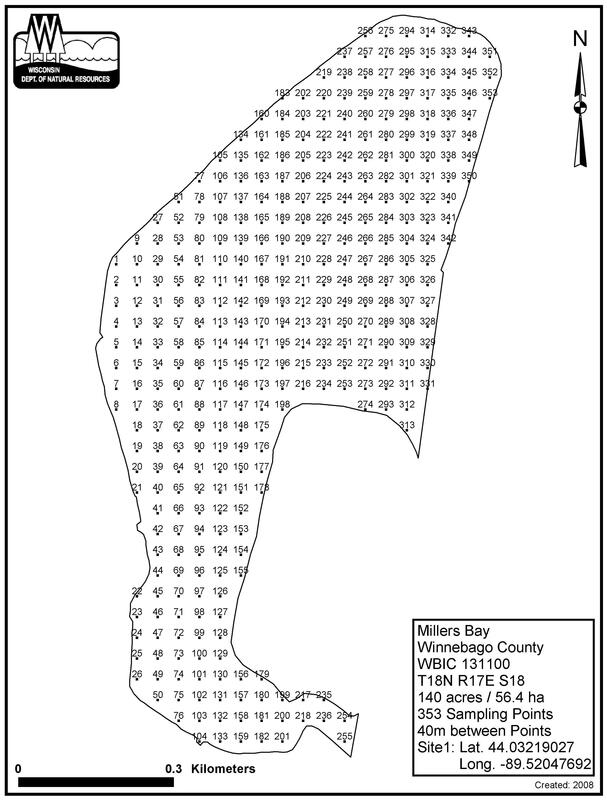 Winnebago Lakes Council, Inc.: Lake Winnebago Planning: The Winnebago Lakes Council is sponsoring a Lake Planning Grant on Lake Winnebago. This long term planning project for a Lake Winnebago Action Plan will prepare the region for coordinated, long term, comprehensive management to ensure the entire Winnebago System continues to be a positive asset to the local communities. The planning effort will also explore options for system-wide coordination of local, state and federal governments and organizations. Fox Wolf Watershed Alliance: Winnebago Lakes Comprehensive Planning, Winnebago Phase 4: The Fox \2013 Wolf Watershed Alliance is sponsoring a project to develop a Comprehensive Lake Management Plan (LMP) for Lake Winnebago. Specific project activities / deliverables include: 1) Develop & implement multiple communication strategies; 2) improve project awareness through community engagement events, 3) Improve information and education outreach through activities / presentations designed to meet specific stakeholder needs, 4) create & engage focus groups to prioritize management recommendations, 5) conduct citizen survey of 1,000 shoreline property owners, conduct aquatic plant PI survey of entire lake system, 6) identify & prioritize a list of habitat improvement projects, 7) complete comprehensive management / APM / AIS Strategic plan and obtain DNR approval and 8) conduct Plan Adoption Outreach, Engagement, and Communication activities to ensure LMP implementation. Winnebago Property Owners Association: Lake Winnebago Existing Data Consolidation & Education Dev: Create an inventory of active Lake Winnebago organizations; consolidate existing data and research; develop public education strategies; develop newletter. City Of Fond Du Lac: Lake Winnebago Stormwater Exfiltrat. Stdy/Bp Monitoring: The City of Fond Du Lac proposes to do a stormwater study and bypass monitoring on Lake Winnebago. This project will identify potential sources of stormwater exfiltration from storm sewers into sanitary sewers, evaluate alternatives and recommend ways to alleviate the problem. Some of the activities included in this grant will include: 1) review stormwater pumping station plans and storm sewer system plans, 2) field viewing and structural reviews of storm sewer systems, 3) analysis and monitoring of pump station and storm sewer system capacities and water quality monitoring during at least two bypass events, 4) evaluate and recommend alternative improvements. The Department of Natural Resources will be provided with both a paper copy and an electronic copy of the final report. The project results will be disseminated to the public by newspaper articles, an Engineering Feasibility Study Report mailings and public meeting(s). City Of Menasha: Lake Winnebago Menasha Residential Channel Water Quality: The City of Manasha proposes to conduct a historic water study as well as study the current conditions of the navigation channels in Menasha that lead to Lake Winnebago. The activities will include the following: 1) collect historical data, 2) collect current data and show correlation to water level changes, dam operation, and analyze other water characteristics of both the channel waters and lake water, 3) identify algae management strategies and implementation plans for the viable strategies. The Department of Natural Resources will be provided with both a paper copy and an electronic copy of the final report. The project results will be disseminated to the public by newspaper articles and public meeting(s). Lake Poygan Sportsman'S Club: Winnebago Remote Sensing & Trophic Monitoring Project: The Lake Poygan Sportsman Club proposes to conduct Remote Sensing Analysis on the Lake Winnebago System The product of this grant component will be a database of physical and chemical parameters to include total phosphorous, Chlorophyll a, Suspended solids; Volatile suspended solids, nitrate-nitrite, and Kjeldahl nitrogen. Eight sampling events will be scheduled to correspond with satellite flyovers. The PSC is sponsoring one year of lab analysis of water samples and travel expenses to conduct the lake appraisals on Winnebago, Winneconne, Poygan and Butte Des Mort. This project is a component of a larger partnership with UW-Madison remote Sensing Lab, NASA, and the Green Bay Metropolitan Sewer District that will develop a software toolkit for the regional and local application of remote sensing technology. This application may involve the appraisal of trophic conditions within the lakes using satellite imaging, tracking aquatic vegetation coverage, and guiding lake use during bloom conditions. AMENDMENT #1: Additional objectives will include the printing and distribution of a recently completed Lake Winnegago System Water Quality Report. This report integrates with the remote sensing project. 1. Database including phosphorous, Chla,suspended solids, volatile suspended solids, nitrite-nitrate and Kjeldahl N. Eight sampling events at approx 8 station will generate the data. Lakes Winnebago, Winneconne, Butte des Morts and Poygan will be included. Fond Du Lac County: Lake Winnebago Planning: In the last few years, Lake Winnebago has experienced greatly improved water clarity which has resulted in a large increase in aquatic plant density. As a result, lake stakeholders are upset and educational outreach is necesary to help people understand why lake conditions are changing. Fond du Lac County is currently engaged in identifying potential stakeholder groups in preparation for developing a lake management plan. They have also hired a lake coordinator who is developing educational materials and media sites to share information and bring stakeholders together. Specific deliverable project outcomes are as follows: 1. Creation of a data base for use by stakeholders, 2. Creation of a media site to distribute informaiton, 3. Creation of a Lake Winnebago group comprised of a core group of stakeholders pulled from DNR, ACOE, boaters and other users of the lake, 4. Develop and provide publications and educational resoures to stakeholders and the public. Channel Preservation Assn: Winnebago Channel Apm Plan: The Channel Preservation Assn proposes to develop an Aquatic Management Plan for "the channels" of Lake Winnebago. The project deliverables will include (1) review of plant management alternatives relative to the channel; (2) two distinct surveys of plants conducted in June and August, 2003, by rake survey methodology, and include an apppraisal report; (3) a public participation session with a report on significant public input events; and (4) develop srategies for the management of the nuisance plant conditions while preserving tghe functional and structural habitat value of this backwater complex . This could include land or water strategies. A final report will be developed and shared with the DNR. 1. Awareness and educational actions by designated staff. These actions will be summarized within a final report that includes recommendations for future actions. Winnebago Lakes Council, Inc.: Fox Wolf Watershed Network Development: The Winnebago Lakes Council, Inc. proposes to develop a network of agencies and organizations that work together to protect, improve, and sustain aquatic resources in the Winnebago System and the Fox-Wolf watershed. They also propose to significantly increase the financial resources available for projects that prevent pollution or improve habitat stewardship in the watershed, directly or through communication, education, and outreach. The project elements and deliverables will be completed as described in the project proposal submitted to the Department and dated May 1, 2005. The project outcome will be an Aquatic Plant Sampling protocol for Lake Winnebago and the up-river lakes. This project will also complete the first season of sampling once the protocol is finalized. This data will be valuable for the current TMDL's. Fisheries staff have been asking for this data for years. It will help them with spawning habitat and fish recruitment analysis. Wildlife staff have also expressed interest in the data. Wildlife habitat for ducks and other shorebirds that regularly use the Lake Winnebago System. The project outcome will be an Aquatic Plant Sampling protocol for Lake Winnebago and the up-river lakes. This project will also complete the first season of sampling once the protocol is finalized. Located in east central Wisconsin. the Winnebago Pool Lakes, composed of Lakes Winnebago, Butte des Morts, Winneconne, and Poygan, drain 16,654 square kilomerers and compose 17 '% of Wisconsin's surface water area. Major watersheds include the Wolf River to the north aild tlle Upper Fox River to the south with the system emptying from Lake Winnebagu via the Lvwcr Fox River to rhe southwestern end of Green Bay on Lake Michigan The Lakes lie in the vegetation tension zone between the Northern Forest and the Prairie-Forest floristic provinces (Curtis. 197 1 ), and the watershed transects three US ecoregions, the Southeastern Wisconsin Till Plain, the North Central Hardwood Forests, and the Northern Lakes and Forests. Consequently, land use ranges from mixed hardwood forest in the north to prtrnariiy specialized dairying with some generalized farming southward. The Lake Winnebago System is within 120 km of over 2 million people, and is central to many, often conflicting, resource uses, including outdoor recreation such as fishing and boating, wastewater assimilation for 59 industries and 24 municipal wastewater treatment plants, and as a principal water supply for over 100,000 people in Oshkosh, Neenah-Menasha. and Appleton as well as numerous small communities in the watershed (East Central Wisconsin Regional Planning Coinmission [ECWRPC], 1989). The Lake Winnebago System provides over one million userdays during the peak month of recreation fur boaters and anglers from Wisconsin and other states,most notably nearby Illinois. The dam system and water level control program, representing the largest flood control storage reservoir in Wisconsin, provide flood protection for residents and shoreland development within 17 jurisdictions. Water levels in the Upper Lake Winnebago Pool Lakes have been controlled through dam outflows by the Corps of Engineers since the late 1800's. principally to assist commercial navigation and downstream industrial uses of waste assimilation and power generation (WDNR, 1989). As a result of a revised water level management policy instituted in 1982, lake Ievels in the summer are now approximately 1 m higgr than previously occurring levels in the summer, and 10-30 cm higher in dle winter. The Corps is required to maitlrain levels within a seasonal range of 1.05 111. Under the current water level management strategy, rhe water level rapidly increases in the spring and summer, resulting in high lake levels during early plant growth. 'This is followed by allowing the water levels to gradually decrease through the fall io achieve a drawdnwn in the winter to prevent ice damage along the lake shores and to be prepared for moderating spring run0 ff levels (Krug, 1981 ) .